Email is the oldest, if not the oldest service that is offered on the Internet. We used to access it using a PC or a laptop, but nowadays we access email through our mobile device: smartphone, tablet and even smart watches This wider market enables vendors to continue to expand their target customers, even if those customers lack enough technical know-how to protect themselves not only from spam but also from its most dangerous form, phishing. The anti spam form that needs to be established also protects from phishing emails. Spear phishing is a nastier version of phishing that targets a particular individual who is a member of an organization that cybercriminals want to attack. Without an adequate anti spam form, the person becomes a victim of spear phishing. Hackers want to make sure that a target firm can be penetrated by either their ransomware or fall for one of their phishing exploits carried by spam email, a very effective technique if the firm lacks an anti spam form. Use only sophisticated passwords – QWERTY, Password, Password123, OpenSesame, Monkey, those are some of the most frequently used weak passwords. It is unfortunate that some people still decide to use passwords that they can easily remember without taking into consideration if it is complex or sophisticated enough to prevent guessing or a dictionary attack. Users cannot ignore this second step in anti spam form. Use a password vault, to securely store your password – The most important aspect of anti spam form is the use of password vault. Security professionals advise users to have a unique complex password for every website service or system they use. Humans are not good when it comes to remembering a string of random characters as a password, hence the concept of a password vault has been born. Password vaults enable the users to just remember just one complex master password to lock the password vault. The vault stores all the passwords the user will need, this setup simplifies password storage and enables users to have a peace-of-mind. In a login screen, If offered, do not choose to remember password – Many login pages on various websites offer the user a chance to save the login credential for later use. Ticking the checkbox is fine if the user has a secure personal computer or device and don’t log in using a public computer. However, it is very easy for a passer-by to take control of public PC or a phone with no lock pin. Make sure to set a lock password for the PC or smart device, or better yet, never click the checkbox that enables a website to remember your login credentials. The effective anti spam form requires system administrators to educate users. Keep the password secret – This is self-explanatory. Never compromise when it comes to the secrecy of a login credential. The only exception to this is there is a case of emergency of being the user in a terminal condition, she can legally appoint someone as a custodian of her password or password vault. Configure the network, mail server and PCs correctly. Without the necessary patches and hotfix installed, corporate systems can be taken over. This cannot be compromised since if not done correctly, the very system that connects a corporation the world may become of a botnet that sends spam to other victims. Don’t give users admin accounts. Only give users regular non-administrator domain accounts as their login credential. This helps prevent users from executing unauthorized programs downloaded from the Internet. Such restriction prevents Trojans from running accidentally, as the Windows User Account Control prevents infection, as it will prompt the user to enter an admin password first. Updates are provided by the software vendors to fix known bugs and security vulnerabilities. This is a critical task for system administrators to allow, especially for applications that are designed to access the Internet by default, like the web browsers and email clients. Mozilla and Microsoft regularly upload updates to Thunderbird and Outlook respectively. Choose a reasonably featured cyber defense software. System administrators should defend IT spending for the acquisition of a credible cyber defense software. Leaders should take this as an investment and not a cost, as news of data breach, virus infection or become a victim of a phishing attack will be very costly for any organization. The end result of not taking care of cybersecurity is lost of customer trust, which no firm wants to experience. The anti spam form of acquiring the necessary defenses is a primary consideration for a secure organization. And when it comes to blocking spam, a software solution will not be very effective as an anti spam form. It slows down the mail server, as the software is usually installed on top of it. This makes the anti spam form software demand for more system resources for itself. Resources allocated to it can no longer be used by the mail server. A hosted anti spam form is much better, like Comodo Dome Anti Spam. From a world-class name in privacy, security and anti spam form technology, Comodo® Dome Anti Spam delivers a 24/7 centralized anti spam form management of suppressing spam from entering your network, a huge improvement compared to any free anti spam form. Administrators just configure the system once, setting the basic parameters like MX Records and other necessary information connected with the mail server, and the Comodo® Dome Anti Spam form protects the mail server by filtering its email traffic. 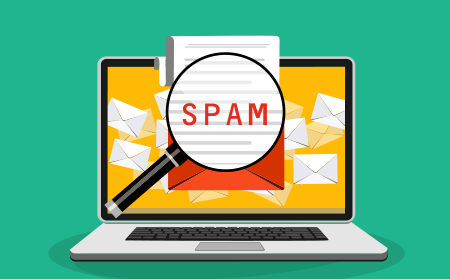 Don’t settle for a rudimentary anti spam form that comes with email clients or just pivot on the basic capabilities of a free anti spam software. There is a better way, and that is Comodo® Dome Anti Spam system. Try it free today!